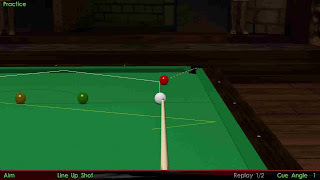 Cue ball (CB) squirt is an effect which arises almost everytime the cue-ball is hit with left or right english. To be an effective pool or snooker player, you must know how the cue ball travels off line. Cue ball squirt is a very important thing to master if you want to bring your game to the next level, and successfully play ultra fast shots with spin. Throw is an effect which causes the object ball (OB) to cut at a slightly greater or smaller angle, in order to make seemingly impossible shots. When you hit the CB to the right, the OB is thrown to the left and vice versa. Do keep in mind, that when you hit fast, squirt will be highest; and when you hit slow, throw will be highest. I will soon post an article on throw as well. Another way of saying this is at high speeds, there will be no throw; and at low speeds there will be no squirt. For now, have a real close look at the following two images showing cue ball squirt. These images are just for demonstration of the squirt effect, as I could have easily played the red near the white using a rest. Also, all the below shots will work only at medium to high speeds. 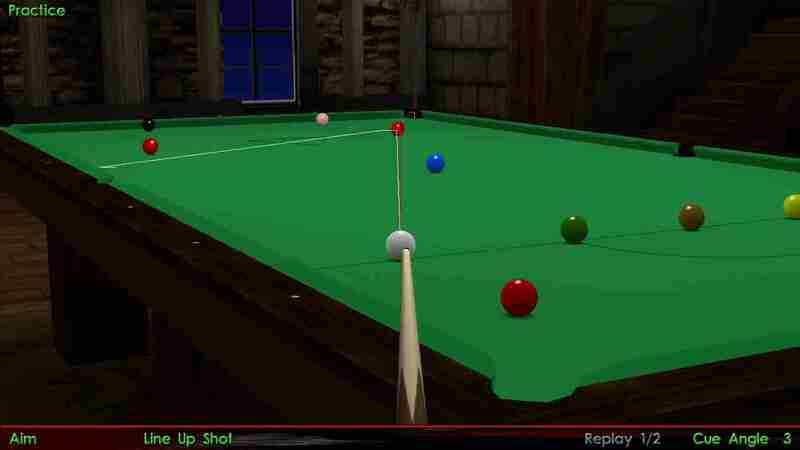 Notice that when you hit the cue ball to the left hand side, it travels a little to the right. The angle between the path without spin and path with spin will increase with the amount of spin put and the speed. These are the two most important factors to keep in mind, and yes, do keep in mind that it always travels to the opposite side of the spin put. Look at the following images to get a clearer picture. 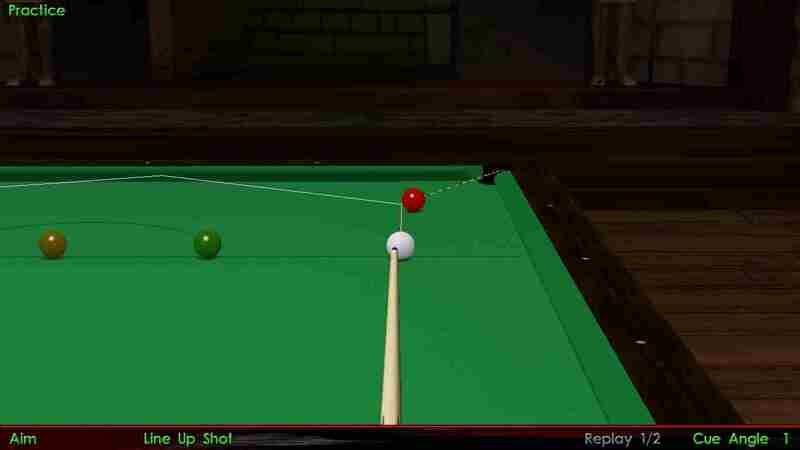 Right side, high speed, cue ball leaves a little to the left. the amount of spin put is increased. Left side, high speed, cue ball leaves a little to the right. 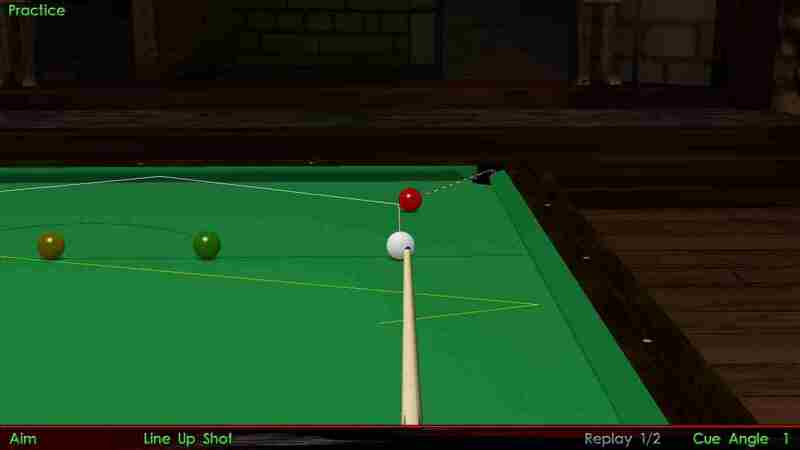 A little analysis about cue ball squirt and how much it will deviate initially. Minimum speed with maximum spin = very low deviation, just by increasing speed to pocket speed, you can throw the object ball which is to be pocketed FARTHEST from the aiming line. I will try to discuss it in detail sometime later. Minimum speed with medium spin = low deviation, but good throw effect. Increase the speed to pocket speed and drop the OB and cut it at an angle, higher / lower than possible. Minimum speed with minimum spin = low to no deviation. Medium speed with maximum spin = medium deviation, you can use this on the break shot which makes the CB travel 4 cushions and end up on the opposite side of the first ball hit. Medium speed with medium spin = low deviation, Use this to throw the object ball just a little bit.